What is the difference between -‘s and -s’? Both forms are used when making words possessive. 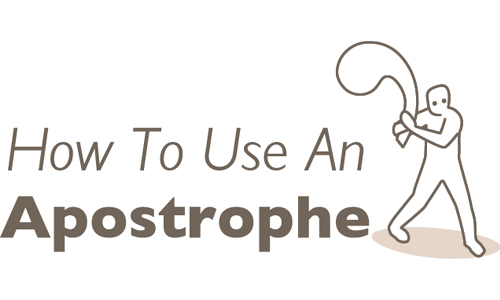 However, the difference between putting the apostrophe before the -s or after the -s changes the meaning and usage of the word. There are also some exceptions and other things to keep in mind when making a noun possessive. A possessive noun shows ownership, or that something belongs to the noun. The basic possessive form of a noun is made by adding –‘s if the word is singular, or –s’ if the word is plural. This is fairly simple in most cases. For example: The dog’s house was in the yard. The dogs’ house was in the garden. The first sentence uses the singular form of the verb, dog, and the second sentence uses the plural form of the noun, dogs. Some plural nouns do not follow the basic rule when made possessive. When a noun has an irregular plural, it uses a form similar to a singular noun. The irregular plural form is used with an –‘s. For example: The children’s clothes. In this example, the plural of child is children. Also, it is important to note that when a noun does not change its form to be made plural, an –s’ or –es’ is used when it becomes possessive. For example: The fishes’ pond was large. In this example, although fish can be both singular and plural, the –es’ is used to show that it is a plural possessive. There are exceptions to this rule, however, such as sheep. Sheep is both plural and singular, but it does not change its form when it is a possessive plural. For example: The sheep’s pasture. This is used for both the singular and plural, and the meaning is determined by the context. Compound possessive nouns can be used one of two ways. Where the apostrophe is can change the meaning. If the two nouns are acting together as one unit, the apostrophe goes with the last noun, but if the two nouns are acting separately, there needs to be an apostrophe with each noun. For example: Joe and Jane’s houses are blue. This means the houses are all owned by Joe and Jane together, and they are all blue. However, if it is said that Joe’s and Jane’s houses are blue, then Joe and Jane do not own the houses together. Separately they both happen to have blue houses. There are rules that can be bent when it comes to using possessive forms. When a word ends in an s, such as Charles, some people do not add another –s. For example: Charles’ house. This means the house belongs to Charles, and it is understood to be singular. This can also apply to words that end in –ss, such as boss. For example: The boss’ house is next door. This is done for ease of pronunciation and for the sake of appearance, but it is still acceptable by some to use the conventional –‘s on the end of a word that ends in an –s or –es. Aaron Hutchinson. "Difference between apostrophe S and S apostrophe." DifferenceBetween.net. June 8, 2016 < http://www.differencebetween.net/language/difference-between-apostrophe-s-and-s-apostrophe/ >. In the UK and Canada (or really, all Commonwealth countries), the possessive form of a singular noun ending with S or SS almost always takes apostrophe S: the boss’s daughter, St James’s Palace, Prince Charles’s estate, etc. The only exceptions, though I don’t know why, seem to be names from antiquity: Jesus’ parables, Herodotus’ writings, Moses’ wisdom, Tacitus’ history, Tiberius’ reign. I would be inclined to ignore these exceptions as well and use an apostrophe S, because when did “antiquity” end, after all? Where’s the cut-off point?